“Every living human being has something wonderful happening inside. Within each person is a supreme beauty. Within each person is peace, joy, the feeling of the heart. I remind people that life itself is a gift. I encourage people to know that it is possible to open the windows of understanding so they can be fulfilled. I see each human being as complete. Within each one shines a sun so bright that it can make any darkness go away. What I am proposing is that within each individual is the domain where peace can be found. This is the message that I feel is sorely needed in this world. How important it is for that one message to be accessible to everyone. 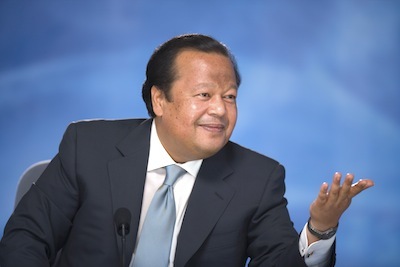 You may watch this video to know about Prem Rawat and his message. Prem Rawat, known also by the honorary title Maharaji, has traveled the world for four decades, inspiring people to find peace within. Born in India (10th Dec 1957), he started addressing audiences at the age of three. At eight, he took up the responsibility and began presenting his message of peace throughout India. At thirteen, he was invited to speak in London and Los Angeles. Ever since, he has reached to those who want to listen, no matter where in the world they may live. Without advertising or charging fees to attend his events, he has genuinely touched the lives of hundreds of thousands of peoples worldwide. People around the globe anticipate the chance to hear him speak. More than ten million people in 50 countries around the world hear his message in person. The dissemination of his message of peace is made available in more than 90 countries and 70 languages. 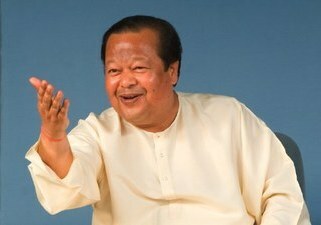 Prem Rawat has received widespread recognition for more than three decades. Proclamations and resolutions that honor his work, keys to cities, letters of appreciation, and invitations from government officials are among the many ways he has been welcomed. The Prem Rawat Foundation which he founded, provides nutritious food and clean water to people most in need and holds free medical clinics. To honor Prem Rawat and his foundation, for the support provided to United Nations Development Programme's (UNDP) Water Development Initiative, an event was held at the United Nations in New York, attended by distinguished representatives of the United Nations and local New York government, Civic, and business leaders. 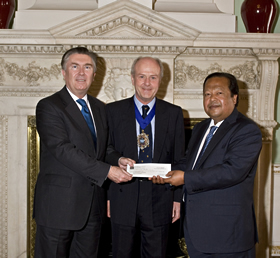 TPRF’s humanitarian activities are entirely supported by voluntary contributions and the sale of related materials. As a private investor, he supports himself and his family through independent means. To date, he has never charged for any of his events. That lamp must always be kept lit.